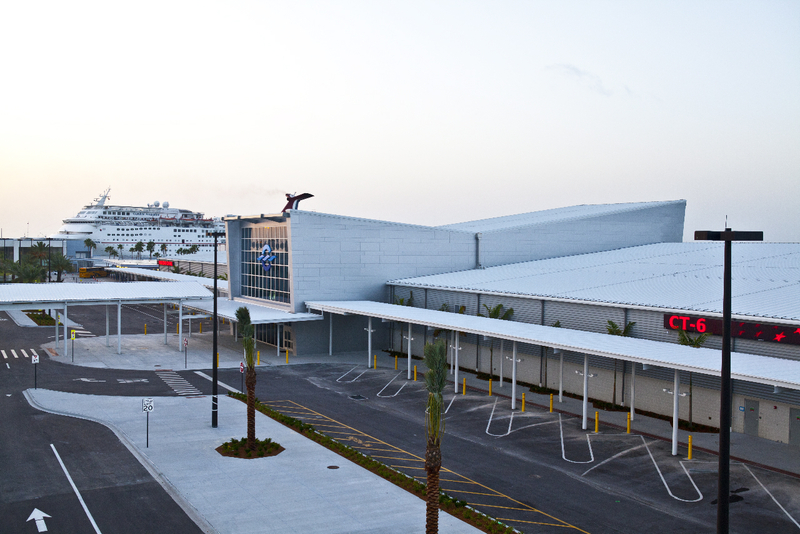 Carnival Cruise Lines began an exciting chapter in its operations from Port Canaveral, Fla., yesterday when the 2,052-passenger Carnival Ecstasy departed on a five-day cruise from the port’s new state-of-the-art Terminal 6. Yesterday’s sold-out cruise of the Carnival Ecstasy is the first of more than 225 annual departures from the new facility, which serves as a convenient embarkation/debarkation port for the line’s three ships sailing year-round from Port Canaveral. In addition to four- and five-day Bahamas/Key West cruises on the Carnival Ecstasy, Carnival’s Port Canaveral-based ships include the 2,052-passenger Carnival Sensation, which sails three- and four-day Bahamas voyages, and the 3,646-passenger Carnival Dream offering seven-day Caribbean departures. Together, these three ships carry more than 600,000 guests annually from the popular Central Florida port.